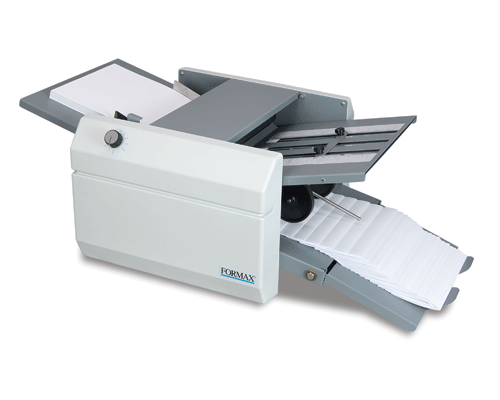 Folds up to 11" x 17"
The FD 322 Document Folder offers an unmatched level of performance and affordability. 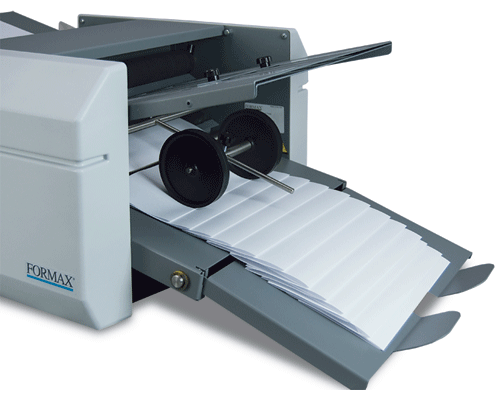 Designed with ease of operation in mind, it utilizes a drop-in feed system, eliminating the need to fan paper. Simply square the paper stack and load it into the feed tray. 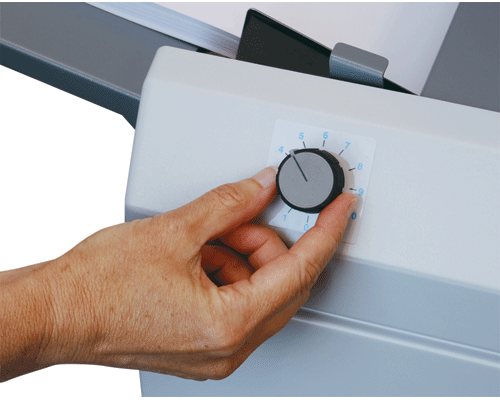 The FD 322 can handle 11”, 14” and 17” paper sizes, and is pre-marked for three standard folds: Letter, Zig-Zag, Half. 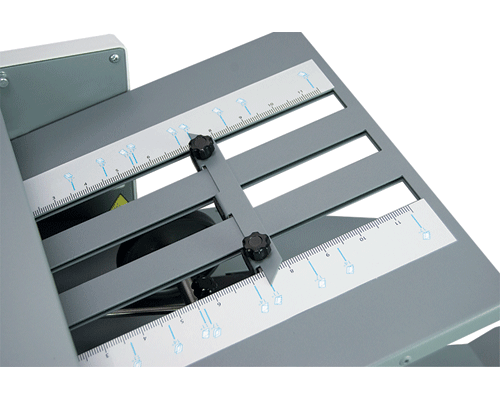 The fold plates are easily adjusted for three custom folds: Gate, Fold Out, Double Parallel. Removable top and bottom fold plates make this folder ideal for churches, schools, businesses or departments that demand quick and easy set-up and operation. 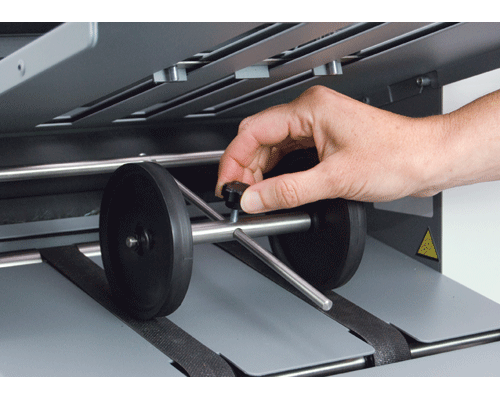 Variable speed control allows for processing up to 11,000 sheets per hour. An extended outfeed conveyor allows operators to run most applications without having to unload the output before the infeed is empty. As with all Formax folders, the FD 322 is constructed with a heavy-duty steel frame and molded, high-impact side covers for durability. The three-tire friction feed accurately pulls paper info the folder, while the skew adjustment allows for moving the feed table left or right, to produce crisp, accurate folds. The compact size and user-friendly operation make the FD 322 an ideal solution for churches, schools, and offices that demand quick and easy setup and operation.